We’re still alive! Just buried under a mountain of information, trying to find a way through. 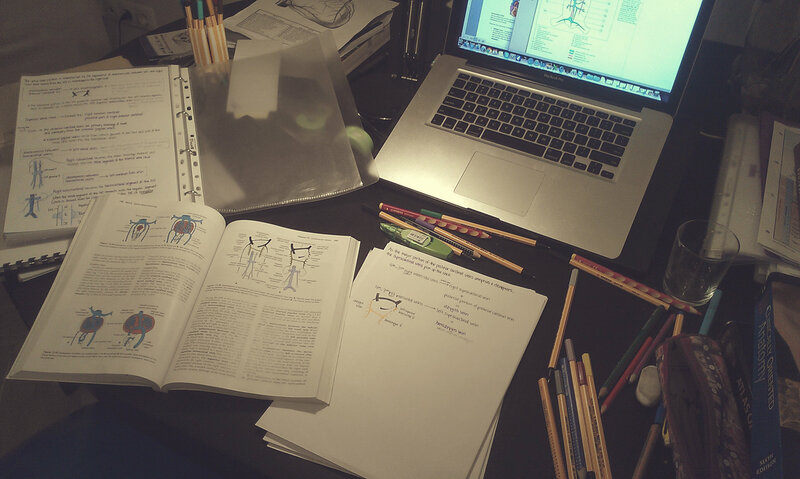 Our first anatomy midterm is in 2 days and the more we study, the less we feel we know…. I feel that way about tomorrow, TUESDAY 😦 😦 AHH! i’ll bookmark the video to watch soon! You are currently reading At the moment… at Buda-B.